Did you miss the BOD meeting this last month? No problem! We have you covered. Over the past month the BOD have been working on the overall organizational structure of our program and we are finally in a position to be able to start to put together our Operations Committee. On October 13, 2018 your USHL RoughRiders take on Sioux City at the home opener. During the 1st intermission our mites will play a game against each other. During the 2nd intermission every player will be brought onto the ice and acknowledged for their dedication to this great organization. This includes all RRHC players: every travel, every instructional, and every RYHL player! Each player will receive a complimentary ticket to the game! Parent ticket packages will be discussed at the parent meetings this coming week. Please mark your calendars and save the date. More details will be announced in the coming days or at your respective parent meeting next week. The Skate-a-Thon has been postponed. We are rescheduling it for the month of January. Any money that has been collected so far, and so on, can be turned in to Josh Jensen, and your team will be credited. Contact Josh Jensen For Inquires! There will be no warm ups\track suites for the players this year. 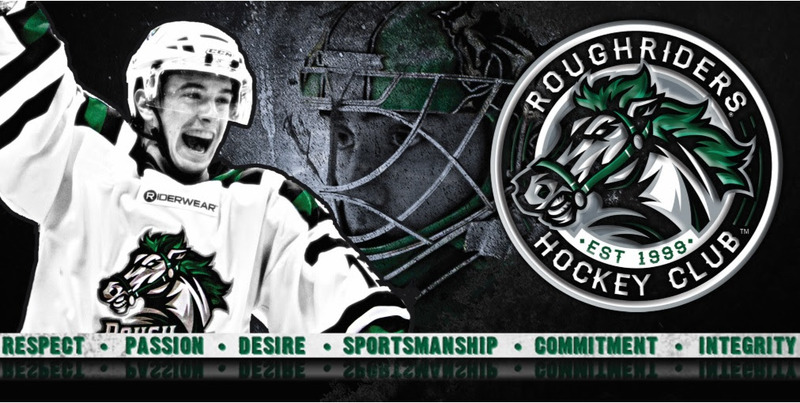 RoughRider Apparel can be found on the website. There is everything from sweats to dress shirts. Products change frequently, so keep checking. You must choose shipping as an option, pick-up is not available in Cedar Rapids. 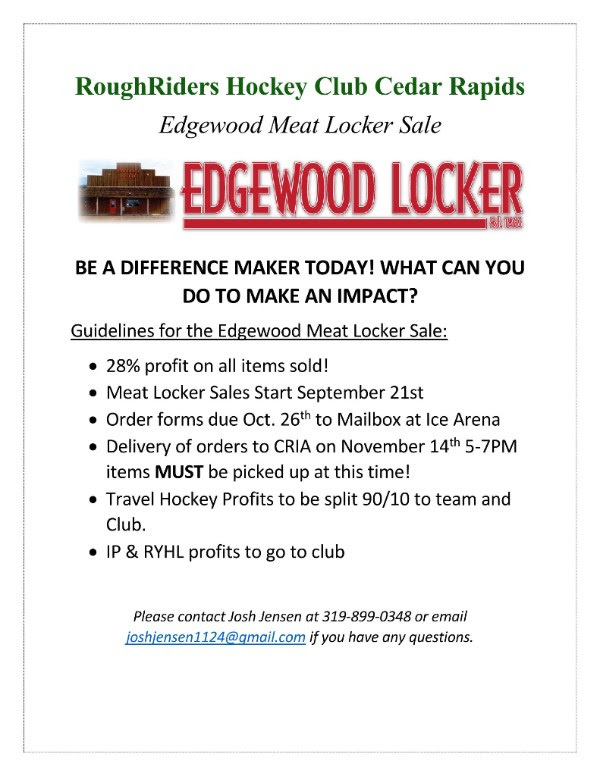 Copyright © *June 2018* *RoughRiders Hockey Club Cedar Rapids*, All rights reserved.